Upholstering Services Green Bay | Cushion Restuffing | Upholsterer in Green Bay | Custom Upholstered Furniture. Established in 1927, Green Bay Upholstering is a 4th generation family owned business specializing in reupholstering and custom upholstered furniture. With residential projects throughout the country, along with commercial installations including yachts for Palmer Johnson and Burger Boats and many other commercial buildings and restaurants in Wisconsin. We specialize in reupholstering furniture and have our own line of custom made to order furniture. 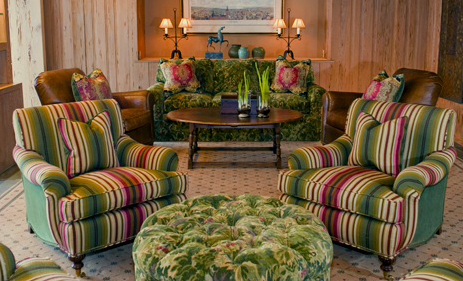 Here at Green Bay Upholstering we create the finest quality custom furniture at affordable pricing. A price comparison to any comparable quality furniture showroom in the Merchandise Mart will show that our RETAIL pricing is consistently below their WHOLESALE pricing. In addition, because all our work is customized, we have the ability to create any style in any size required. Another significant benefit is the fact that our yardage requirements are typically less than any other furniture manufacturer which provides additional savings to our customers. Come, stop in, you're always welcome to browse through our large fabric/leather showroom, or give us a call and make an appointment. We look forward to working with you!